The battle about to take place here looks a little one sided, the ship on the right is a full two studs longer than the one on the left. Micro scale seafaring battle has never looked better than this tiny but awesome MOC by builder gid617. 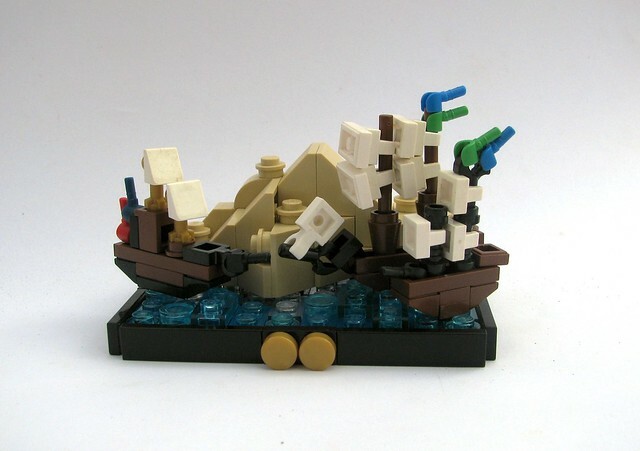 I especially like the ship on the right, with the use of minifig hands for flags and the varying angles on the sails. It might not be strictly "legal" building, but when it looks this cool I don't care.